(WFLA) – A huge response effort has been organized and is ready to provide aid after powerful Hurricane Michael moves through the Florida Panhandle. Florida Governor Rick Scott on Wednesday warned residents to stay safe. State and federal officials have been organizing response following the storm. “As soon as Michael passes, we will have a massive wave of response and support coming down and around the Panhandle,” Scott said. 135 FWC officers are ready for deployment and will respond with a variety of specialized equipment including shallow raft boats, ATVs, air boats, and 4-wheel drive vehicles. 100 FHP troopers have been pre-positioned at locations in the state. Nearly 300 troopers are available for deployment across the Panhandle. F-DOT has crews staged to help clear roads after the storm so aid can arrive. Trucks are already loaded with many tons of food and water. 18 ambulance strike teams are ready with 90 ambulances. Medical staff, doctors and nurses are also ready. 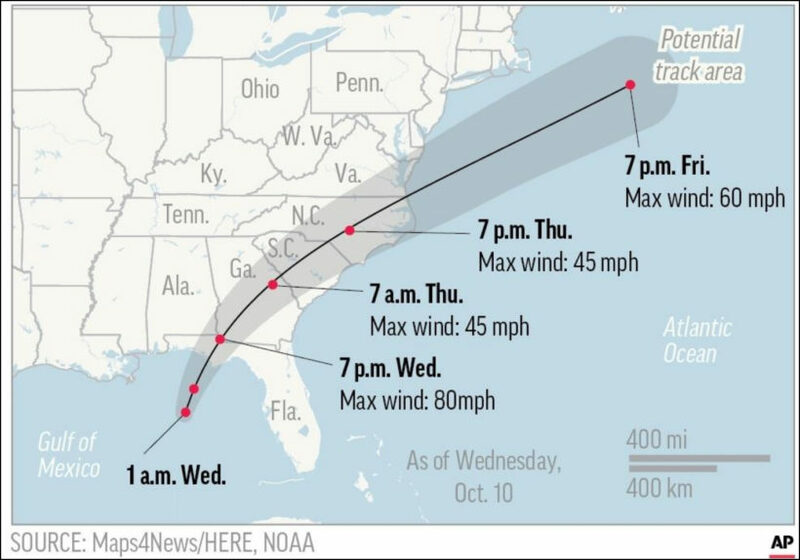 Hurricane Michael is expected to cause major power outages. Scott said 19,000 people are staged and ready to begin power restoration. “Getting power back on is absolutely critical to our recovery and response effort and it is a top priority,” said Scott. As for gas, Scott said there is no widespread fuel shortages or outages at this time. He said after the storm, crews will move fuel to areas where it is needed. Residents can download the app “Gas Buddy” to see where gas is available. 54 shelters are also open across the Panhandle and Big Bend and more will open, depending on the need. Scott said that during disasters, Floridians take care of each other. We’ve seen that time and time again. From WFLA .com. Reprinted here for educational purposes only. May not be reproduced on other websites without permission from WFLA. 1. As Hurricane Michael approached, Florida Governor Rick Scott warned residents that major flooding would be a problem. 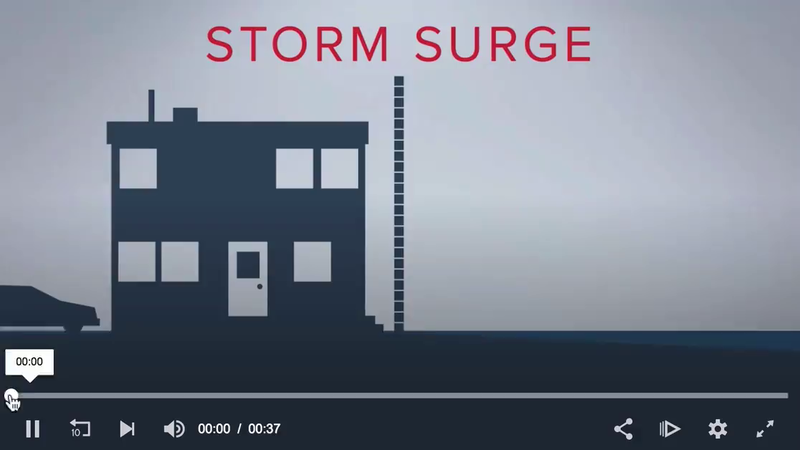 What type of storm surge was predicted? 2. State and federal officials have organized a massive response following the storm. a) How many search and rescue personnel are standing by? b) In addition, 3,500 National Guard members are activated and staged. What do you think this means? 3. The FWC (Florida Fish and Wildlife) officers respond to natural and manmade disasters and search and rescue missions. Specialized response units are equipped to operate by air, land and sea. The Division is a partner in Florida’s Mutual Aid Plan, administered by the Florida Division of Emergency Management. The FWC works with other law enforcement agencies to provide intelligence and security support, general law enforcement services and critical incident investigations. How many FWC officers were ready to be deployed ahead of the storm? What type of equipment will they utilize? 4. a) What is F-DOT? b) What will F-DOT do after the storm? 5. What plans has the governor overseen to address power outages? 6. Do you think preparations to deal with the aftermath of Hurricane Michael in Florida are sufficient? Explain your answer. Visit Florida’s Fdot.gov for updates.